Jackie Lewis is a superintendent pharmacist and director of Lewis pharmacy, Exmouth, Devon. This article provides practical advice to support pharmacy professionals in their duty of care to recognise and refer patients with ‘red flag’ cancer symptoms. The purchase of over-the-counter and prescription medicines presents an opportunity for community pharmacy teams to engage with people to raise awareness about cancer. The Public Health England ‘Be clear on cancer’ pharmacy bag initiative has been used as a tool to initiate these important conversations. Each community pharmacy will encounter around 32 newly diagnosed patients with cancer every year. This number is likely to increase over the coming years, since half the number of people born after 1960 will have cancer at some point in their lives. The Independent Cancer Taskforce has set a target that 57% of patients with cancer will survive for ten years or more by 2020, with 75% surviving for one year. Evidence suggests that the earlier cancer is diagnosed, the more options are available for treatment and the greater the chance of survival. The and campaigns are part of this strategy and pharmacy teams should be familiar with these. The potential role of community pharmacy teams in patient engagement around cancer ‘red flags’ and early diagnosis has been described in a study of 32 community pharmacies in the north of England. A total of 257 cancer alarm symptoms were raised by patients over a three-month period, providing evidence that each pharmacy will routinely encounter such patients. While pharmacy teams will likely come into with patients across all stages of the cancer pathway, the first two principles of the 2015 NHS cancer strategy implementation plan, ‘prevention and public health’ and ‘earlier diagnosis’, are particularly relevant to pharmacy teams in order to identify patients with potentially undiagnosed cancer and refer them promptly to the relevant healthcare professionals. Pharmacy teams can raise public awareness of cancers and their causes, and play a part in improving prevention and early detection of cancers. 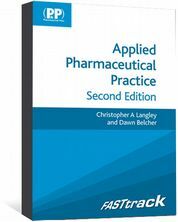 The practicalities of training pharmacy teams to provide this and examples of five such schemes are described in the ‘Accelerate, coordinate and evaluate’ programme report. Several national initiatives can be used as a basis to help pharmacy teams engage with and inspire their patients to initiate conversations (see Box 1),,. How long has the patient had the symptoms? What action has been taken already? Are they taking any other medication? These initiatives, along with the accessibility of pharmacy by locality and without appointment, and the opportunity to see patients who may not routinely see another healthcare professional, means that community pharmacy teams with knowledge of red flags can help with earlier diagnosis of cancer. This initiative employs the use of open-dialogue questioning. Ask ‘what’ and ‘how’, and give the patient time to talk through their own barriers, which is often a quicker process than a conversation skirting around the issue. Avoid giving your own experiences or statements and guide the patient to conclusions using the ‘SMARTER’ (specific, measurable, achievable, relevant, time-bound, evaluated and recognised) objective setting that enables opportunities for follow up. A campaign that capitalises on pharmacy’s vital role in face-to-face care in an increasingly threatening online environment. Identification of red flag cancer symptoms provides a perfect example of where opportunistic face-to-face intervention and assessment can be of benefit. This framework encompasses the ethos that pharmacy teams will display information to encourage and inspire conversations with their customers about lifestyle and health issues. This presents opportunities to promote screening and prevention through tobacco, obesity, alcohol and ultraviolet risk awareness. Cancer Research UK in particular has a wide range of leaflets on this topic. Local facilitators are also available to help. Opportunities to engage and identify individuals arise through purchase of over-the-counter medicines, patients seeking advice on their symptoms and ailments, and indirect conversation through, for example, healthy living information. An increasing number of young people are developing mouth cancer owing to behavioural choices, such as smoking and excessive alcohol consumption, and too many people believe they are not at risk. This presents an ideal opportunity for pharmacy intervention. As people see that cancer is treatable and health risk factors are communicated to them effectively, it may encourage them to discuss small but potentially important changes with pharmacy teams and other healthcare professionals. However, pharmacy teams should have relevant knowledge of the signs and symptoms of different cancers and current screening programmes. Red flags can be described as an alarm or warning signs and symptoms that suggest a potentially serious underlying disease, such as cancer. A practical guide to red flag symptoms necessitating referral can be found in Table 1 and non-specific symptoms in Box 2. Duration — when do harmless symptoms become red flags? Demographics — age is an important determinant of cancer risk. Clinical features — anything presenting as ‘not normal’ for the patient should be considered. For example, a lump (in particular lymph nodes — lymphadenopathy) or mass, a mucosal abnormality (in particular, oral or rectal), unexplained bleeding (in particular, vaginal, rectal or bruising). Repeat purchases of cough medicine. An unexplained lump in the neck, on the lips or in the mouth. Upper abdominal pain and weight loss/dyspepsia/reflux. Repeat purchases of haemorrhoid medicine or loperamide without diagnosis. Significant change in an existing mole. Problems with urination — ask during medicine use review. Repeat purchase of throat lozenges or medicine. Age 30 years and over with an unexplained lump in the axilla. Certain combinations of symptoms, including non-specific symptoms (see Box 2), require special attention — for example, an older patient with tiredness, weight loss and unexplained bleeding. The general rule to follow is that if a symptom persists, even if tests are shown to be negative, re-referral should be considered. Often a serious diagnosis such as cancer is not suspected until symptoms persist or worsen. Patients need to be encouraged to present to their GPs if they have persistent worrying symptoms to avoid late presentations and diagnoses in A&E. A useful tool to have in the pharmacy for patients is the Cancer Research UK (CRUK) guide ‘Spotting cancer early saves lives’, which has a section on ‘Know your body’ (see Figure 1). Pharmacy teams must also be aware of and educate patients to recognise the general red flag symptoms shown in Table 1, some of which include unexplained weight loss and excessive tiredness. Macmillan Cancer Support produced a summary of the recent National Institute for Health and Care Excellence guidance on recognising suspected cancer and making referrals that provides additional accessible commentary for all members of the pharmacy team. The main dilemma for pharmacy professionals is knowing whether a symptom necessitates referral. Pharmacy teams should be encouraged to refer when a symptom is not normal for the patient and when symptoms do not go away. In the author’s experience working in Devon, GPs provided positive encouragement to community pharmacy teams to help them identify undiagnosed patients at recent training sessions. It is important to minimise patient fears but provide support to achieve referral. Support can be offered by addressing appointment barriers, asking patients to let you know how they got on, and helping them to have a meaningful conversation with their GP by writing down worrying symptoms and what may aggravate or relieve those symptoms. Analysis of the ‘Be clear on cancer’ campaigns showed that public awareness of symptoms and reporting appears to be increasing. It is important to overcome potential rejection of referral advice leading to lack of attendance by patients at any stage in the diagnostic process. A different approach may be needed to change public perception of GP approachability (see Box 3). Work has been carried out to assess and quantify these barriers. Pharmacy professionals should reinforce the message by ensuring the patient does not delay going to see their GP about their ‘worrying symptoms’. Conversational tips to engage the patients and attempt to overcome barriers are outlined in Box 4. Talking through these barriers is helped with using the questioning processes previously described (e.g. WWHAM). Awareness of the behaviour change cycle and patient beliefs about their health is important to any discussion. For example, your patient may believe their health is under the control of outside influences rather than being caused by their own actions. These patients are said to have an external locus of control. They may feel they are immune to cancer (e.g. “it couldn’t happen to me” belief) or that their health is the responsibility of healthcare professionals (e.g. “I will wait until my next mammogram and ask them about this lump”). They may have progressed from this to the start of the change cycle and feel they should do something about their symptom but have not done so yet. Ignorance — one in five people remain unaware of mouth cancer. What does your doctor say about that? What is it you are worried about? National screening programmes are offered to several age groups for breast, bowel and cervical cancer (see Figure 2). Patients should be encouraged to attend screening. The CRUK ‘Talk cancer’ team highlights that some screening processes prevent cancer by detecting abnormal cells before they develop into cancer, including cervical cancer screening and the new bowel scope screening process. Other screening processes for breast cancer and stool sample collection for bowel screening pick up cancers at an early stage, enabling treatment to be more successful. Pharmacists should ensure they have a conversation about screening where possible, as pharmacy teams have a vital role in encouraging self-examination and screening uptake. Pharmacy teams can use strategies outlined in national initiatives which are simple to use, together with reliable information and support to alleviate fear and encourage early referral and screening to improve outcomes. If pharmacy staff are confident to engage with patients, they can elicit and overcome patient barriers with the use of relevant information and encourage prompt referrals. Lewis J. How to support cancer patients in community pharmacies. 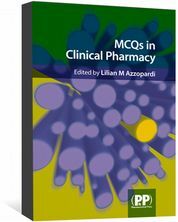 Pharm J 2017. Jones D & Macleod U. Recognition and referral of cancer symptoms in primary care. Practice Nursing 2015;26(9):426–431. Badenhorst J, Husband A, Ling J et al. Do patients with cancer alarm symptoms present at the community pharmacy? 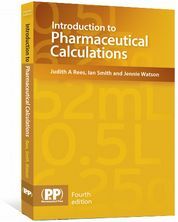 Int J Pharm Pract 2014;22(Suppl 2):23–106. Gill J, Sullivan R & Taylor D. Overcoming cancer in the 21st century [lecture/presentation]. 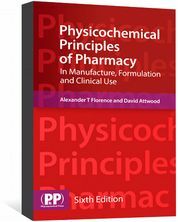 UCL School of Pharmacy. January 2015. Randall M & Neil K. The patient: Signs and symptoms. 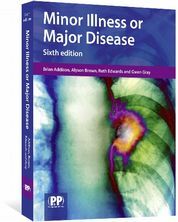 Disease Management 2016. Pharmaceutical Press. London. P4. Schroeder K, Chan W & Fahey T. Recognizing red flags in general practice. InnovAiT 2011;4(3):171–176. Power E & Wardle J. Change in public awareness of symptoms and perceived barriers to seeing a doctor following Be Clear on Cancer campaigns in England. Br J Cancer 2015;112(1):S22–S26. Rotter JB. Social learning and clinical psychology. NY: Prentice-Hall. 1954.